We hope you will enjoy Tadap Tadap Lyrics in Hindi and English Translation with its proper Meaning. If you have any query related to Tadap Tadap Lyrics or you find any mistake so please let us know through our comment box. We will surely work on it. Hum Dil De Chuke Sanam was the blockbuster hit movie which was released in 1999. The starrers of the movie are Ajay Devgan Aishwarya Rai and Salman Khan. The movie Hum Dil De Chuke Sanam was a romantic drama movie. The song Tadap Tadap is a very sad song which is sung by the Melodist Kk and Dominique Cerejo. Mehboob is the Lyricist of Tadap Tadap. The great music composer Ismail Durbar has composed the music of Tadap Tadap. 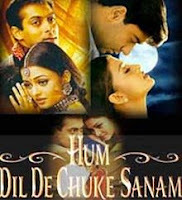 The movie Hum Dil De Chuke Sanam was directed under the great supervision of Sanjay Leela Bhansali. You will get here the Lyrics of Tadap Tadap in Hindi as well as English Translation with its proper Meaning. Your love gave life to this lifeless heart. Then that very love of yours laid waste to it. I am punished for loving you; what sin did I commit to deserve this? Then a treasure trove of sorrow and loneliness. Sometimes tears, sometimes sighs, sometimes reproaches, sometimes moans. Your face appears in the brightness of day and memories of you torment me. Memories of you torment me in the darkness of night; your face appears before me. I was utterly destroyed by my love for you. Having given me a body of clay, why did you make my heart with glass? And on top of that, you put it in my nature to love! How marvelous, God, that above and beyond that, you granted a fate not only of meeting, but also of parting! Sometimes we meet, sometimes we separate, is this love you intended? How marvelous is your handiwork! We hope you liked the lyrics tadap tadap. If yes then why wait! Hit like and share with others.